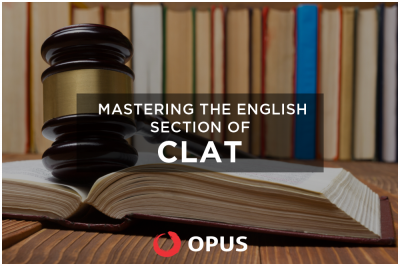 ​The ​CLAT (Common Law Admission Test) is one of the most popular exams among students who want to pursue law as their career. This exam is the key to open the doors to prestigious National Law Universities ​in India. ​Each year​,​ ​thousands of students​ ​take this entrance.​ 50000 students sat for CLAT 2018 and over 75000 students are expected to take CLAT 2019. There are 19 National Law Collages all over India in cities like in ​Bangalore, Hyderabad, Jodhpur, Bhopal, ​Delhi, Mumbai, Kolkata, Cuttack, Patiala etc. Some of the best universities include national Law Institute of Bangalore, Gujarat National Law Universities, Gandhinagar, ​NALSAR Hyderabad, WBNUJS in Kolkata and many others. CLAT​ happens to be one of the most competitive exams in the country as of today, and this makes it one of the toughest to crack with over 50000 students trying for one of the 1200 seats in the NLU's. This makes it important for a student to take the Best CLAT Coaching​ available to them​. ​CLAT Coaching helps a child to gain the knowledge​ and skills​ required ​to get​ ​through the entrance. It introduces a student to a systematic way of learning and ​exposes him / her to the latest trends in CLAT and other law entrances. •	English/verbal ability includes 40 questions. •	Mathematics includes 20 questions. •	Logical Reasoning includes 40 questions. •	General Awareness includes 50 questions. •	Legal Aptitude includes 50 questions. The​ best​ mock test ​series provided by TheOpusWay ​helps the children to teach time management so that the real entrance ​becomes a cake walk. In the mock exams, the faculty​,​ on the basis of marks secured by students​,​ give​s​ special attention to the areas they are weak​ in. The student also becomes more confident with the pattern of CLAT and can analyse his performance and work on improving their scores.